Belcrest #760 is one of the colours available in the Belcrest series of products which are all sand molded modular size brick from the Belden Brick Company. The colour palette is composed of rich deep burgundies and plum colours together with charcoal and flashed accents. These brick offer a traditional appearance along with exceptional quality. These brick are so durable that they are considered completely frost resistant and they also meet the requirements for use as a clay paving brick. Belden Brick tests all of it's brick to make sure that they exceed the requirements or the ASTM specifications for clay brick and also to ensure that every brick meets their own internal quality standards. 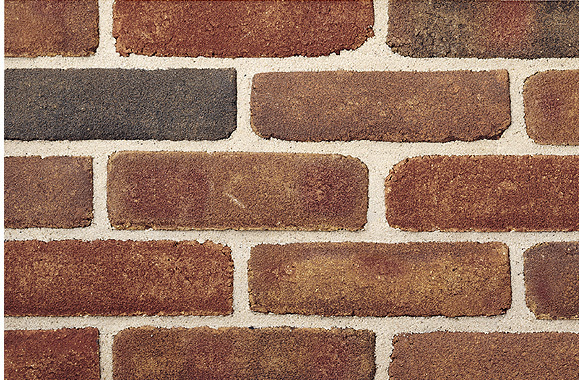 A typical test result for Belcrest 760 brick, which shows its physical properties, can be found by clicking here. If you would like to know more about clay brick testing and standards please follow this link: clay brick testing and standards. The Belden Brick Company runs tests on all brick bodies (e.g., all shale, all fireclay, shale and fireclay mix) from each of its plants every 24 months. If a customer request testing of current production, the cost of the testing will be borne by the customer unless brick do not conform to the requirements of the appropriate ASTM specifications, then the cost of the test shall be borne by The Belden Brick Company. Efflorescence is omitted from the results below since all tests results are negative.